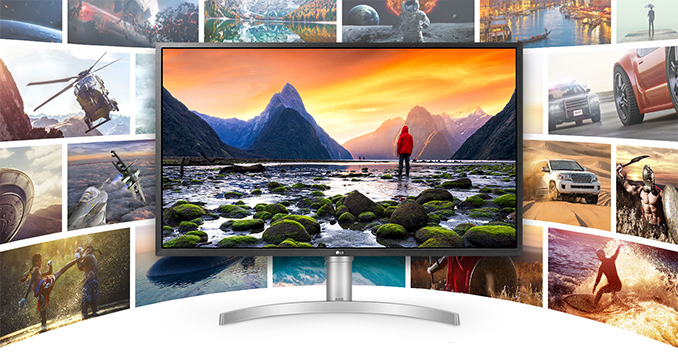 In the recent years LG has introduced a number of high-end Ultra-HD 31.5-inch displays, many of which have received a lot of publicity due of their features and innovative technologies. As of late, the company has also expanded into midrange and entry-level segments with its 31.5-inch monitors. And to that end, this week LG has begun selling its 32UL750-W Ultra-HD LCD, a midrange 4K display for customers who want something better than the company's mainstream offerings, but are not ready to invest in a high-end model. The LG 32UL750-W is based on a 31.5-inch VA panel that offers a 3840×2160 resolution, 400 nits typical brightness, a 3000:1 contrast ratio, 178° viewing angles, a 60 Hz refresh rate (with FreeSync), and a 4 ms response time. The DisplayHDR 600 badge that the monitor carries obviously points to 600 nits peak brightness along with HDR10 processing capabilities, but LG is not publishing any information about local dimming and LUTs (look-up-tables) for HDR. Meanwhile the panel can reproduce 1.07 billion colors and covers 95% of the DCI-P3 color space (and should be able to hit 100% of the sRGB color gamut). 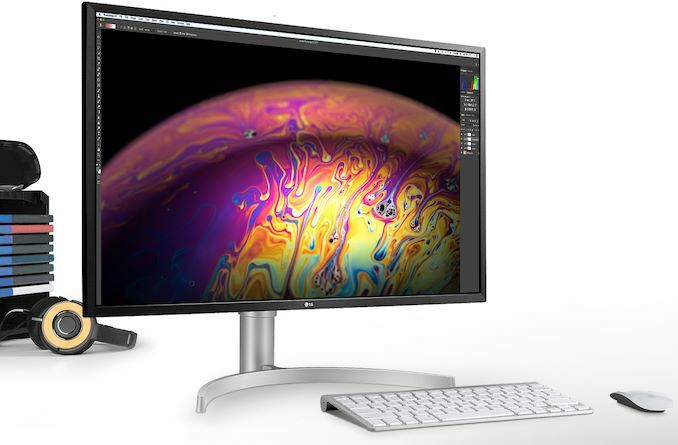 To make the monitor more attractive for the target audience, the 32UL750-W display comes factory calibrated and supports a number of features designed for gamers, including LG’s Black Stabilizer (makes dark scenes brighter) and Dynamic Action Sync (minimizes input lag), as well as AMD's FreeSync already mentioned before. Connectivity is another strong selling point of the 32UL750-W. 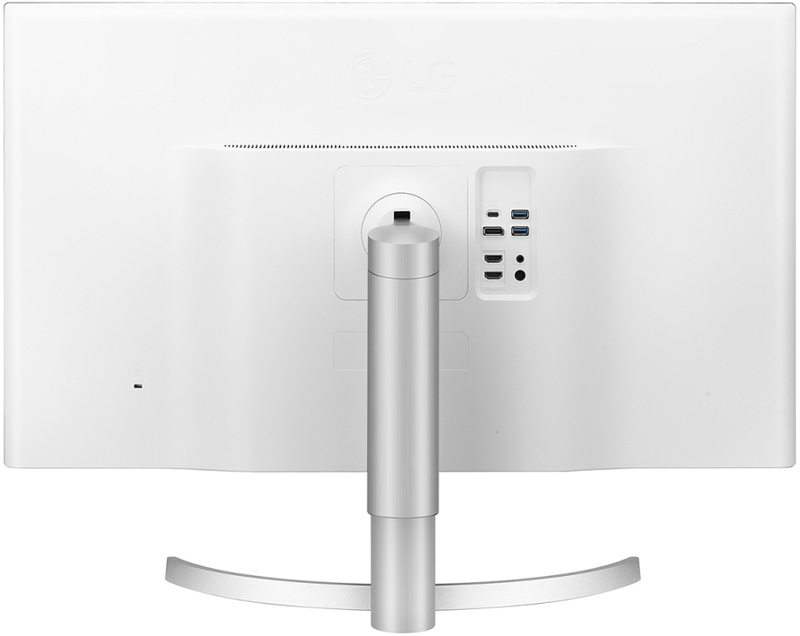 The monitor has a DisplayPort 1.2 input, two HDMI 2.0b ports, as well as one USB Type-C connector. The latter supports up to 60 W power delivery, so it can help to power many modern laptops. As for audio, the display has two 5 W speakers and a headphone output. As an added bonus, it also features a dual-port USB 3.0 hub. 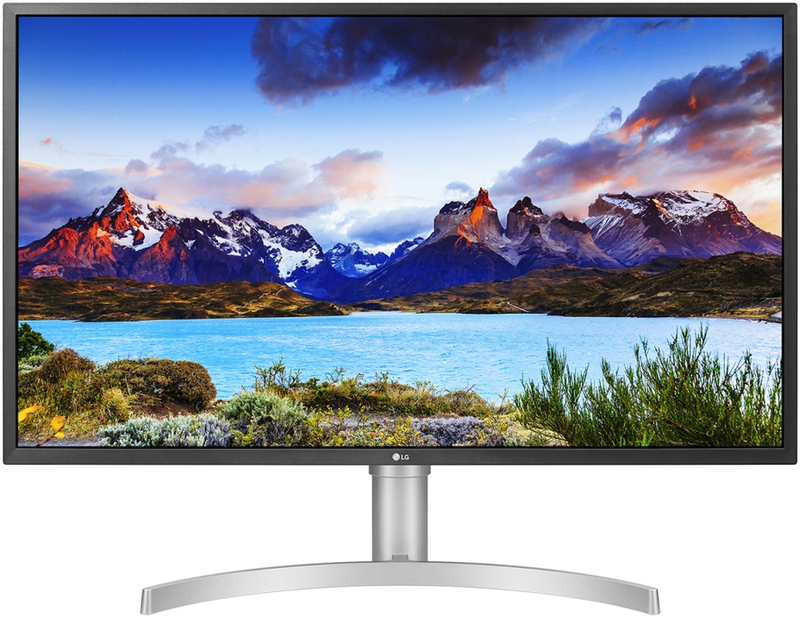 Looking at LG's broader lineup, the LG 32UL750-W sits right between the company’s range-topping 32UK950/32UL950 Ultra-HD monitors, which use panels with LG’s Nano IPS technology, as well as its more reasonably-priced 32UK550 Ultra-HD display. The high-end 31.5-inch LCDs from LG retail for $1000 ~ $1300, whereas the cheaper 31.5-inch monitor costs around $500. The new 32UL750 will, in turn, cost approximately $749 (SRP) in the US, placing it between the other models in both features and pricing. LG started to sell its 32UL750-W LCD in Japan this week at a price of ¥76,800 ($705) without tax. That said, expect the display to show up in other countries shortly. Which, keeping in mind that electronics prices in Japan tend to run a bit high by global standards, I wouldn't be surprised to see street prices for the monitor in the US come in below its official $749 MSRP. I may be in the minority, but for a consumer monitor I tend to put "midrange" around $300, with $750 being distinctly high-end. >Also I'm tired of seeing 40-60Hz Freesync ratings. What's the point of tacking on Freesync if it barely does anything? Eh, it's not a good reason, but VESA AdaptiveSync (FreeSync) is inherently "free" to implement. Adding Freesync support (even if it's a limited range) is inherently "ticking off a box" which could be the defining thing that can sway a customer to buy this monitor as opposed to a competing monitor (with relatively similar features otherwise).